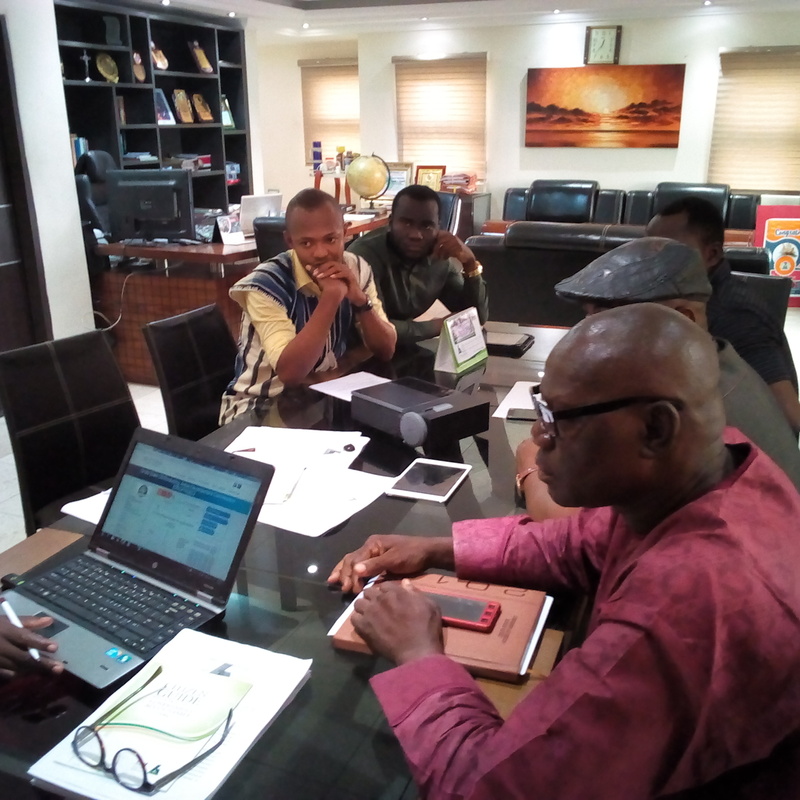 The Africa Network for Environment & Economic Justice, ANEEJ, together with LITE-Africa and project partners RIVCO held a very engaging time with Mr Williams Makinde, Managing Director of the DESOPADEC in Warri Delta State, 5th July, 2018. The purpose of the visit was to introduce the NDITI Platform as a transparency tool that can objectively capture the Accountability and Transparency of Niger Delta Institutions. The visit was also an opportunity for ANEEJ to inform the commission of the presentation of the CRC and NDITI reports to take place in Port Harcourt July 26, 2018. In an address of welcome by ANEEJ Executive Director, the Rev David Ugolor (represented by Bob Etemiku communications manager), he said that the Niger-Delta Transparency and Accountability index developed by ANEEJ has 49 indicators grouped under five categories such as access to information, citizen participation, fiscal responsibility among others. 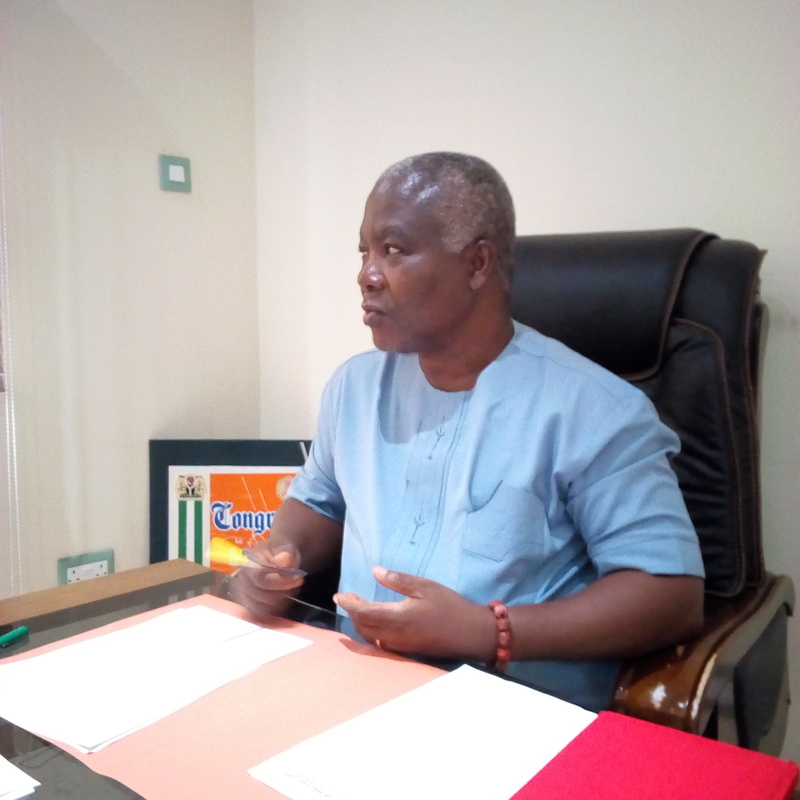 Continuing ANEEJ executive director stated the need of a functional website as a good way for Niger Deltans to access the budget and projects which the DESOPADEC is handling. The Rev Ugolor said that five other institutions currently have their data on the ANEEJ platform. He informed the MD that the commission’s activities would then be accessed through a link to their website. Iheaniji Iheke, LITE-Africa Program officer highlighted some of the recommendations from the CRC research which focusses on the need for synergy between the commission and other NDIs. Sandra Eguagie, ANEEJ programme officer makes a presentation while Mr. Makinde listens with rapt attention. 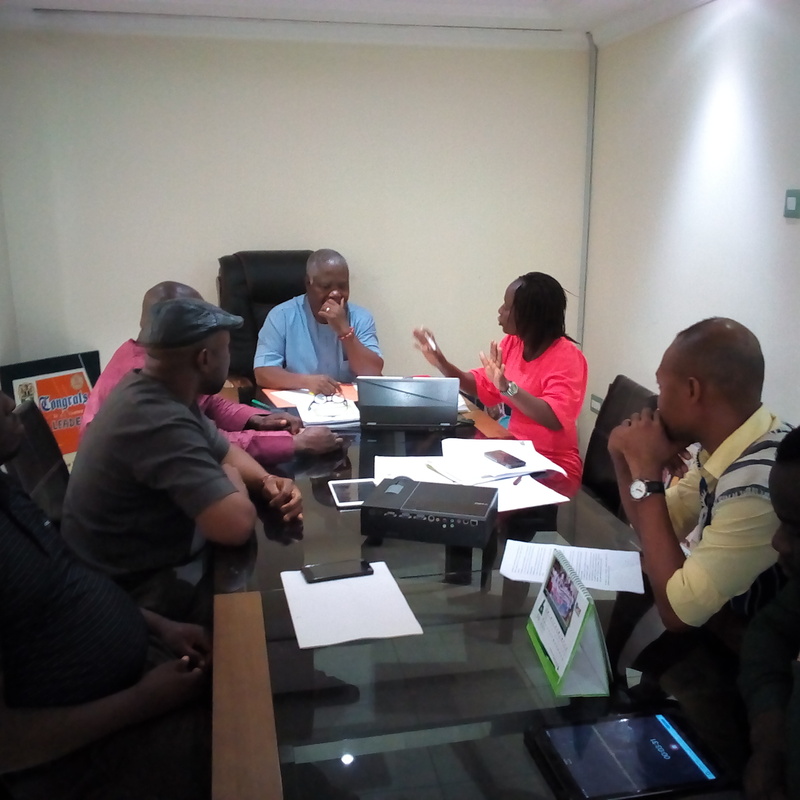 Prior to the response of the MD, Sandra Eguagie, ANEEJ program officer also presented the NDITI platform to the DESOPADEC MD and assured him that it is only the DESOPADEC and EDSOGPADEC lines of activities that are not currently captured on the ANEEJ platform. (ii) Schools- According to the MD, the commission is renovating schools as well as providing chairs and desks in the hinterlands of the state. According to Mr. Makinde, there would be no need to embark on new projects when old ones have not been completed, and added that the commission is thinking of doing a few new projects in 2018. He also said he has plans to review the budgetary process to be exact with the number of projects that can be realistically achieved. As conclusion, he reiterated his commitment to ensure the functionality of the commission’s website before the presentation of the CRC and NDITI report by July 2018. 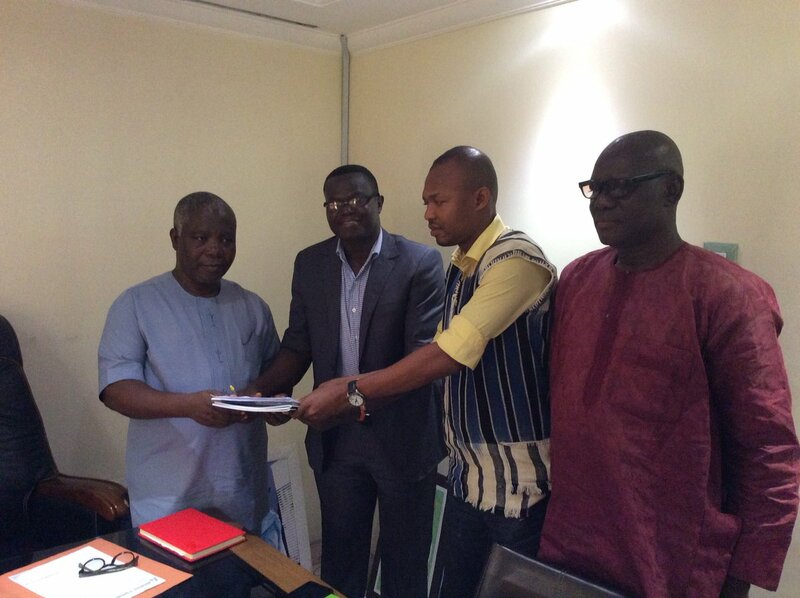 Other members of the visit to the office of the DESOPADEC MD in Warri Delta State.